the power to shatter me, surprise me and bring me to tears. It challenges the reader to think beyond the expected and be brave. Well crap on a cracker, people. It ends. I avoided all spoilers, mentions, reviews when Allegiant was released because I didn’t want to be biased. I wanted an unadulterated experience all my own and even though I heard enough to know people were disappointed, I was hoping to staunchly disagree. I can’t say that unfortunately. I’ve been trying to objectively process my own thoughts on it and in the end, I just wanted this book to be as awesome as the other two were. I’m not sure if I’m disappointed or angry or a mix of both, but I just didn’t understand some of her choices. I’ll go through my thoughts in a way that will not spoil the story, I promise. And I will say that there were some good parts. Truthfully, I’ve been so invested in the story that I still couldn’t put it down. I cared about what happened and cared a lot about the characters… I just imagined the story unfurling in a different way. But alas, it’s not my story to tell. I’m going to write this review differently than I usually do, organizing my thoughts around the major points of discussion. We finally learn the truth behind the factions, behind who everyone really is and why. So much of this series has been about understanding who you are, what you believe in, who you align with. At the beginning of the series, it’s about choosing your faction according to your true self, your true motivations. In Allegiant, it’s more about what makes you, YOU. It’s about defining yourself beyond the factions, leaving the characters to ponder who they are intrinsically. This notion is particularly significant for Tobias, who has grown up with one tyrant as a parent, and another who was presumed dead, and who subsequently became a tyrant. It was evident in this book just how broken Tobias really was, how desperate he was to believe he’s more than the result of his parents. Roth takes an allegorical approach to defining the characters, enlivening the nature versus nurture debate. But I believe that in the end she makes the point that who you are is defined by your own actions and beliefs… what you do for the people you love and for the things you believe in. The first issue for me arose when I found myself confounded by all the groups (and characters) battling each other. It was almost as if Roth just packed way too much into the plot and made it more complicated than it needed to be. I was constantly trying to discern who was who, if they were good or bad, who the “good” group should be and what the “right” thing was in the end. I’m all for digging deep and making it challenging for the reader, but you don’t want to push it so far that it gets too confusing and the reader checks out. This was one of the aspects I was most excited about and perhaps one of the ones I’m most disappointed with. The alternating POVs were too similar, almost monotone at times. I actually had to go back and check whose narrative I was reading a few times. I felt like I wanted Four’s POV to be stronger and more striking. He lost a little of his ethos in my opinion. I totally get (and like) the fact that he was broken and part of his character’s arc was to work through those issues, but he just wasn’t the same “badass Four” I wanted him to be. He felt weak and clumsy at times. On the other hand, I liked the insight it gave me into how Four felt about Tris. On some level, they really are kindred spirits… so alike in their resoluteness and bravery, but their internal struggles and motivations are divergent (no pun intended) and that causes a rift to grow between them. Nonetheless, it was fulfilling to see how much they did love each other despite their differences. 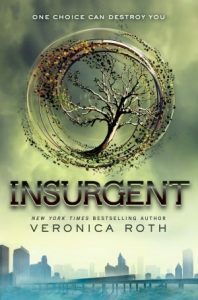 In the acknowledgements, Veronica Roth tells her readers to “be brave” and I do think a lot of the story revolves around bravery, weaving in moments of tremendous courage in its plot twists. Brave choices. Brave sacrifices. Brave abandon. I liked this thematic framework and was really moved by her words on bravery at the story’s conclusion… I would say it brought me to tears, but I was already reading blurry eyed at that point. 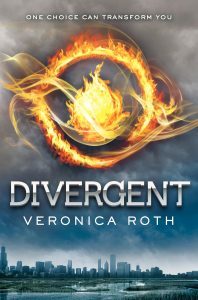 And perhaps, taking a cue from Dauntless, Veronica Roth’s intent was to be brave in how she ended the story. Personally, I DO NOT mind endings that are emblematic, especially in the dystopian genre where happy endings are not a fair expectation, I just honestly didn’t think her choices were necessary. I think most readers likely already know there are deaths in the conclusion and I tried to process the impact of what happens through the choices of others who have made similar choices. In George R.R. Martin’s desultory approach to offing characters in his The Song of Fire and Ice series, he has such a large cast of characters, that the story lives on beyond the deaths it racks up, there is no one impervious to death in his books and you get that point from day one. The expectation is set… a silent contract signed between author and reader, and the story continues to take shape after the deaths (although many were indeed shocking). In Breaking Bad, the final death in the series felt necessary, ending in a way that felt organic to Walter’s character evolution. On the flip side, for all you Dexter fans, he, on the other hand, should have died, not lived. After the decisions Dexter made throughout the show, I feel that the story called for his life as the price for his transgressions. In making choices to kill characters – main or supporting – one must do so with care… it has to feel right and necessary. Allegiant’s story, in my opinion (because after all, this is a subjective stance), could’ve gone in a completely different direction and still imparted a bigger, thoughtful message with incredible power. It was just too unexpected and unwarranted. I won’t reveal how it ended obviously, but in my mind I envisioned it would end in hand-to-hand/watch-it-burn kind of style. I was left not only with my grief, but with a dissatisfaction that one of our protagonists was not ultimately happy and I strongly feel that happiness was well deserved after everything that had transpired leading up to the final moments. I have to say I agree with this review 100%. I LOVE this series and your summery is my thoughts and feelings EXACTLY!! I don’t even know what to say about it! WHY!! Speechless!! This is DEFINITELY going to leave a book hangover that I may never recover from!! I gave the first two books 5 stars. Will I give this one 5 ? Probably not but it doesn’t deserve a 1 star either! I think you’re accurate at 3 maybe 31/2 stars! Great review! I ended up giving the book 3 stars. I was very disappointed with it. It didn’t captivate me like the other two did. The dual POV did not work at all. I also had to turn back and check who was talking at times because the POVs were so similar. Four was not the Four from the first two books. I could even get behind the ending, but it was so anticlimactic that it just made me angry. 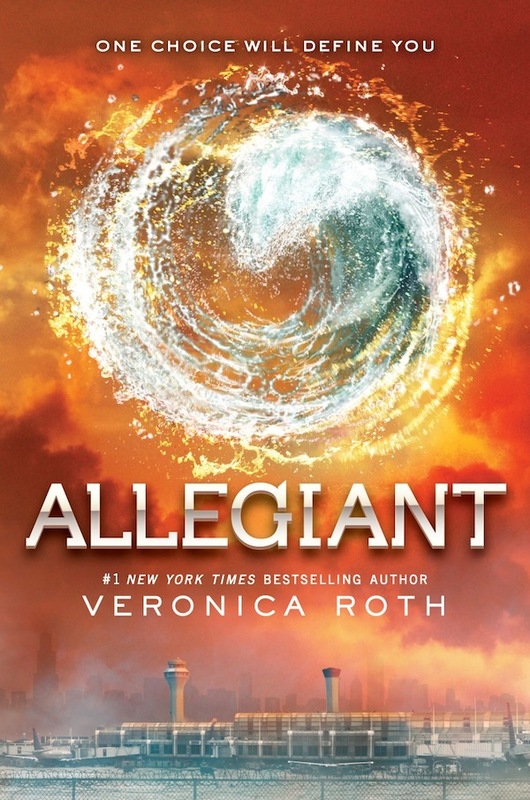 I wish I had memory serum so I could forget that I read Allegiant!